Between spring parties and cramming for finals, cleaning is probably the last thing on college students' minds. 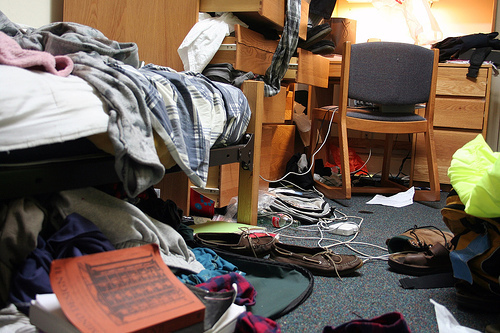 At some point or another, your college living space is bound to become unlivable and filthy. There are a lot of a cheap shortcuts that will get your room clean in no time, leaving extra time for all the fun spring on campus has to offer. First off, getting rid of the stench that a room carries over time is easier than just overdoing it with Febreeze. Cracking open all the windows in your room or apartment will help move air throughout the rooms and remove the smell. After this, picking up clutter around the room will do wonders. Putting away and washing clothes, dishes, and straightening furniture will significantly improve the look of your living space with little effort. Usually these few things will get your space acceptable for guests. 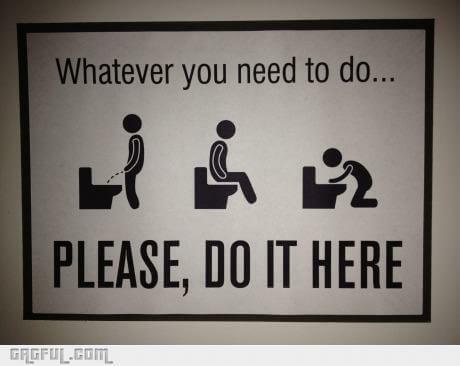 but much more drastic measures need to be taken if you want it to be really clean. Depending on your flooring (and the amount of partying you do), it will most likely be necessary for a vacuum and/or mop to be taken to your floor to clean up the dirt, dust, and alcohol residue. Using a cheap Swiffer or even a small coil vacuum will be able to rid a lot of the nastiness hiding in the corners of your rooms. Lastly, the worst part of cleaning any college living area is easily the bathroom; no wants to do it but it must be done. Using cheap products, such as drain cleaner and toilet/shower cleaner will easily get rid of unnamed "gunk." Bathrooms are easier to maintain than to let fall into a state of disrepair, so trade off cleaning the toilets and bathrooms once every couple of weeks to keep this area from becoming a biohazard zone. These three major tips will vastly change the look and feel of your rooms in ten minutes or less (and even less time will be spent if the work is split up between roommates!) Spring cleaning should not be a bore, so pick a bright sunny day and let as much light into your room and house as possible, blast music, and watch your dorm or apartment turn sparkly clean in no time. Why Didn’t You Just Break Up With Me?